A young man finds a precious stone and sets off on a perilous journey along the Silk Road to Istanbul. He meets many people en route, and to help pass the time, he tells stories that keep his audience enthralled. 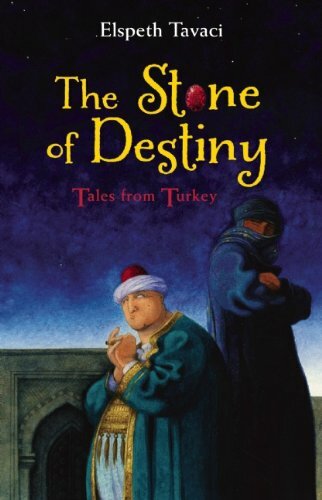 These stories (folk tales from Turkey as well as one from Uzbekistan) include ‘The Prince, the Nightingale and the Silent Princess’, ‘All for a Wrinkled Pomegranate’, ‘The Salt and The Golden Watermelons’ and will also keep younger readers enthralled. Tavaci's eye for detail is assured and her ability to make characters and happenings in the stories come alive as they are read or heard make this book well worth buying. A map and notes at the back of the book provide additional and interesting information.